A revised Huawei Matebook E for 2019 has been on show in China, and it has revealed a surprising new component: A Qualcomm Snapdragon 850 SoC. 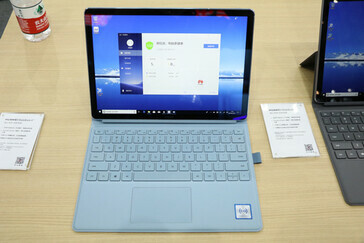 The convertible computer comes with a 12-inch display and offers similar hardware specifications to 2018’s Matebook E, although that particular device was powered by a processor from Intel. 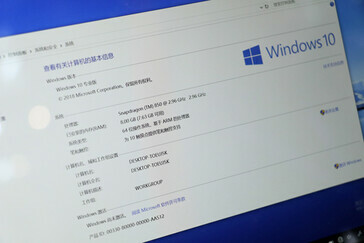 Huawei has decided to produce a Windows on ARM device, or more accurately in this case Windows on Snapdragon (WoS) device, that will offer the kind of mobility that users expect from this particular platform. 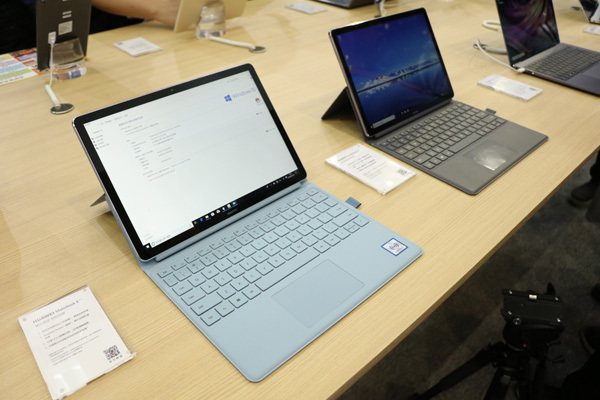 The Matebook E 2019 has been tested at a Chinese trade show by Notebook Italia, and it comes with a Snapdragon 850. This particular chip has been specifically designed for use with Windows 10 and is basically an overclocked Snapdragon 845 (total of 8 cores; 4x cores at 2.96 GHz vs. 2.8 GHz). Along with the WoS platform, the Huawei Matebook E 2019 offers a 12-inch display with a 2160x1440 resolution, 4 GB to 8 GB RAM support, 128 GB or 256 GB storage, and Wi-Fi 802.11ac 2x2 MIMO capability. The convertible is 8.5 mm thick and weighs 1.52 lbs/690 g (without keyboard cover) or 2.2 lbs/1 kg (with the keyboard cover). For graphics processing, the Snapdragon 850 comes with an Adreno 630 iGPU, which offers 737 GFLOPS of compute performance. The WoS/WoA Huawei Matebook E 2019 convertible also comes with numerous features, including a rear (13 MP) and front camera (5 MP), fingerprint scanner, NFC chip, two Dolby Atmos speakers, 36.3 Wh battery, 3.5 mm jack, and a USB Type-C port. Huawei claims the convertible can operate for 20 hours without charging, and it has SIM card and eSIM communication options. 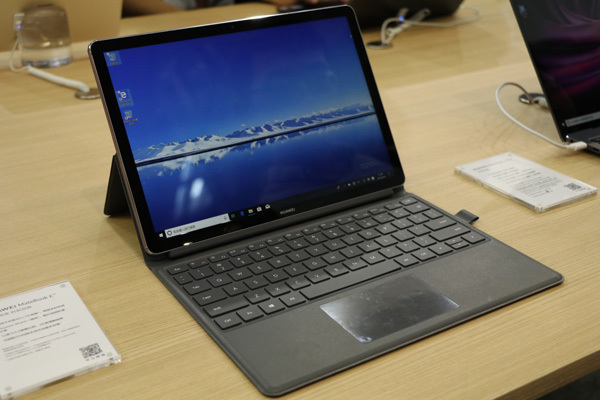 To round-up the decent convertible package, the WoS Huawei Matebook E 2019 even supports the company’s M-Pen that offers 2,048 pressure levels. According to AnandTech, Huawei chose Snapdragon over its own ARM-based Kirin option because the manufacturer feels this particular market is still in its infancy and is content to let other OEMs develop it. 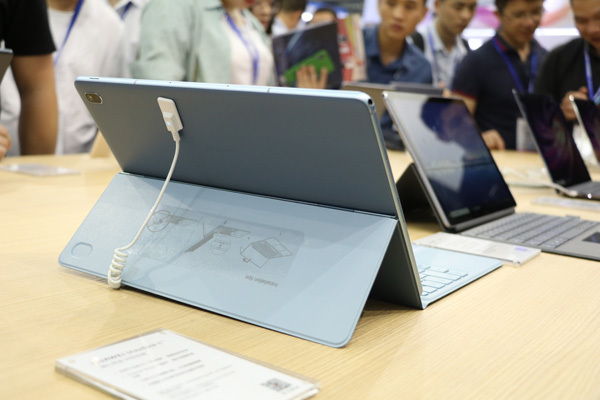 The Matebook E 2019 is expected to be released in China in May; no prices or international market availability details are currently known.